Welcome to soccerx.com. Our amazing SX Customer Service team is available, Monday - Friday from 8:30am - 4:30pm (PST) to answer all of your questions, queries, talk to you about weekend Premier League games, and more! Most of your questions can be answered on our Help page, but if you do need to contact us, please call us at 1-866-942-6605. Our number one priority is our valued customers. If you have an inquiry or concern please contact us. We have great deals on uniforms, balls, bags and more. Some might call it 'very European-like'; 'a destination store'; 'a company passionate about football (soccer)' - whatever you call it, this store is truly a unique soccer specialty retail experience. 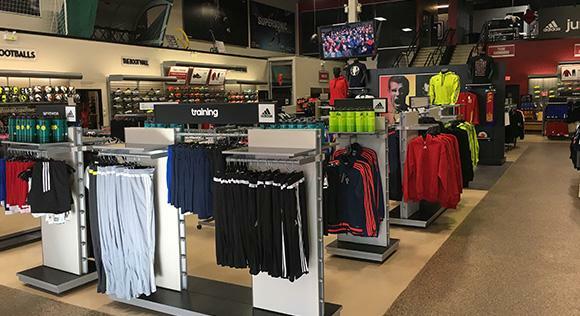 Appropriately named "Canada's Largest Soccer Store', the new Soccer Express location, situated conveniently off the Trans-Canada Highway, off Exit 40 in Coquitlam boasts 10,000 sq.ft of space. 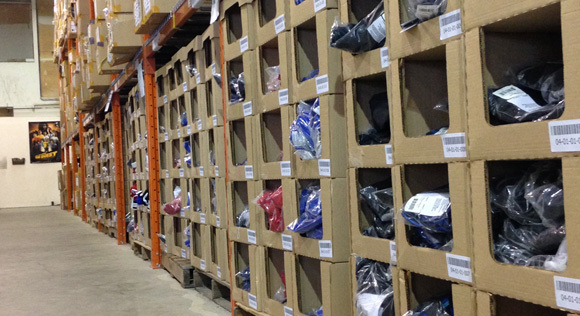 At any given time the store has over $2 million in inventory, so finding that 'right pair of boots' or sizes for your team couldn't be any easier. Found the perfect pair of boots but want to see how they work on a pitch, or how they feel when kicking a ball? No problem, test out your new footwear in our Demo Cage. You might even see the odd Futsal game from time to time in the Demo Cage. Soccer Express has proudly been serving customers for over 28 years. A Canadian company established in Coquitlam, British Columbia, our company vision and our motto of "soccer product on time every time" denotes our commitment of delivering the world's soccer community the most up to date and innovative soccer ideas and products on the market. Our team has over 60 combined years of Soccer experience (playing, coaching, executive) and our continued passion to both the game and the business of soccer ensures that each and every interaction with our company is informative and enjoyable. It is what we at the company refer to as the "SX difference". We respect and love "the beautiful game" as much as you do and want you to look and perform your best on or off the pitch. Whether it's supporting your favorite team, playing, coaching, refereeing or administrating, Soccer Express understands and wants to help. We hope you enjoy and value your experiences with our company. Our dedicated and experienced team of soccer professionals looks forward to hearing from you.